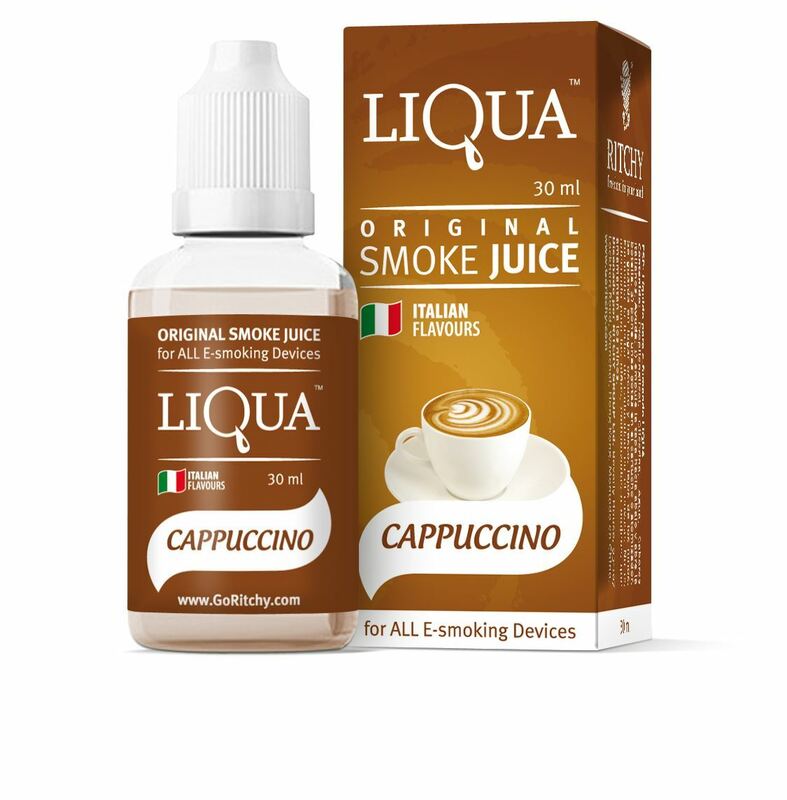 Buy Liqua eLiquid - Cappuccino 30ml in Melbourne, Australia. Free Delivery* and Discount. So what is Liqua eLiquid - Cappuccino 30ml? Our Cappuccino best reflects the one of our best espresso drinks. After the first taste your faculties assumes control. This flavor awes by providing you different and solid striking coffee taste coupled with smooth delicate smell of rich delicate milk. You are going to feel relaxing sensation in a flash! eliquid Cappuccino instantly reflects the taste of the caffeinated drinks. After the first puff your sense will be inspired by unique taste of solid espresso finished with smooth delicate and creamy milk froth. LIQUA’s full range of tastes are designed carefully by those who really know what theyshould be – the most professional flavorists from Italy. That means LIQUA’s Tobacco taste is truly right - as fresh as natural leaf Tobacco. LIQUA Cappuccino flavor is as juicy as a real green Cappuccino, and LIQUA Coffee – tastes as good as what you’ve got in your morning cup. Our customers always thinking where to buy Liqua eliquid in Melbourne, Australia? and the answer is eCig World is the only place where you can get discount and free shipping with Australia wide express delivery.